Balloon Museum visitors explore the history of lighter-than-air flight. The 2018 Albuquerque International Balloon Fiesta has begun here in the Land of Enchantment. The fiesta is the largest and most popular balloon festival in the world. Underway since 1972, the event attracts hundreds of balloons, pilots, and spectators to New Mexico for two weeks. 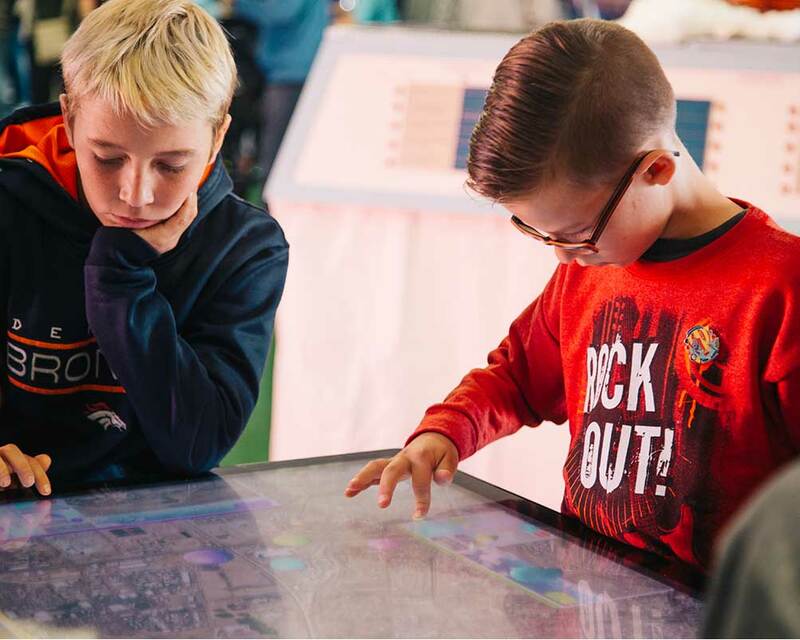 This year, Ideum teamed up again with Albuquerque’s Anderson Abruzzo International Balloon Museum to create an interactive exhibit for the Comité International d'Aérostation International Balloon & Airship Hall of Fame. The Hall of Fame recognizes those who have made significant contributions to lighter-than-air flight, including those who have excelled in business, history, design, and engineering, as well as those better known for their contributions in flying balloons or airships of all kinds. 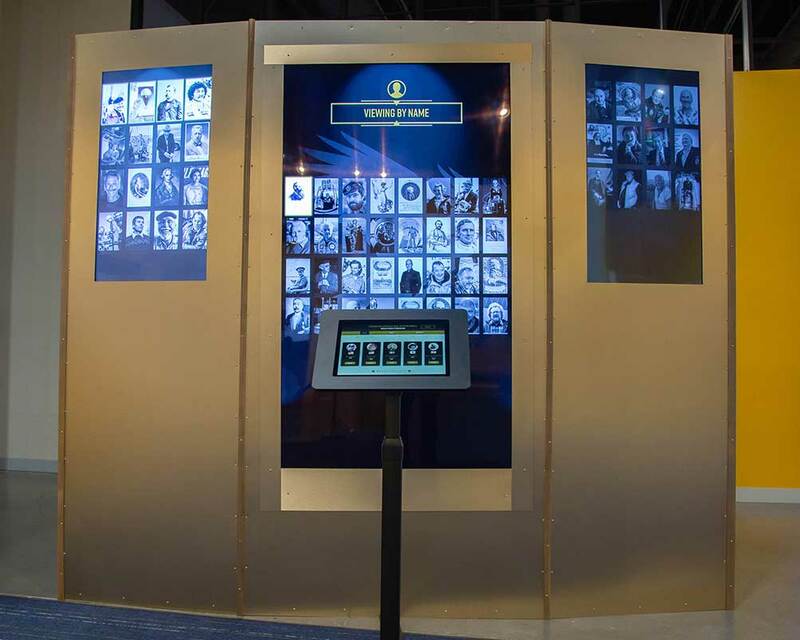 The Hall of Fame Interactive showcases biographies, images, and achievements of over 50 inductees across 3 large screens, all controlled by visitors using a Microsoft Surface Pro. 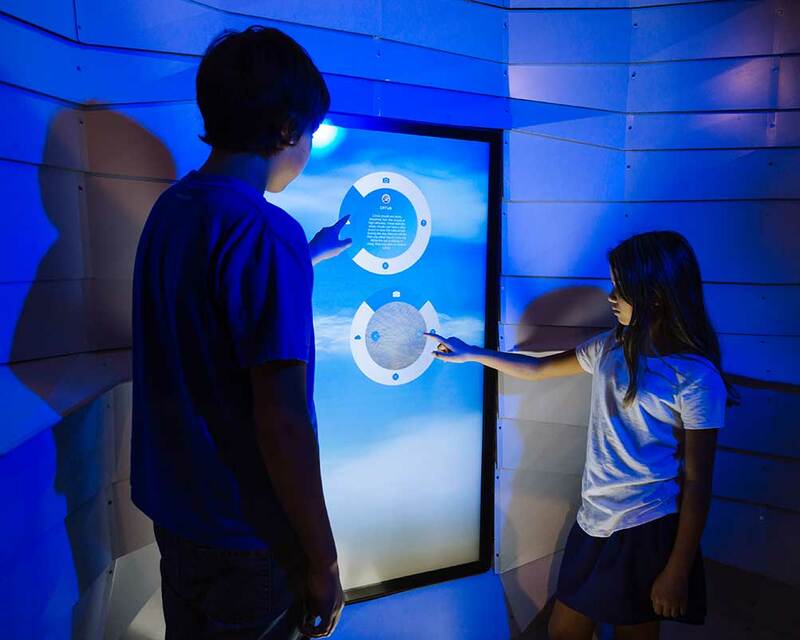 The exhibit fuses web technology with C++ to feature both a kiosk at the museum and a web-based interactive. 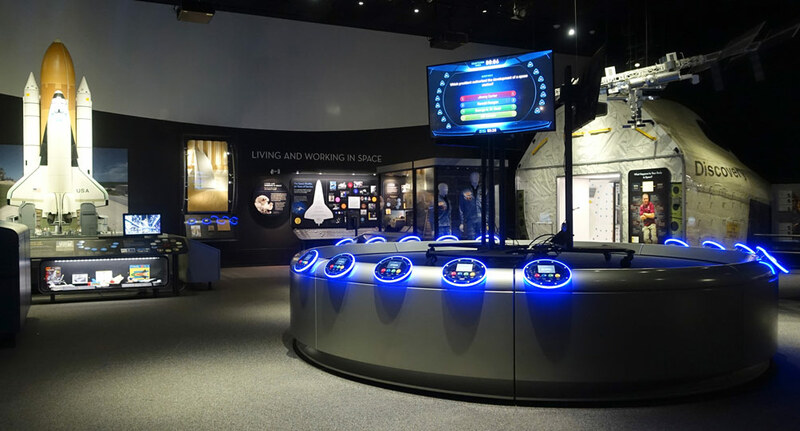 The new Hall of Fame exhibit opened at the Balloon Museum as part of the 2018 Hall of Fame induction ceremony on October 5. In fact, the exhibit is Ideum’s second collaboration with the Balloon Museum. 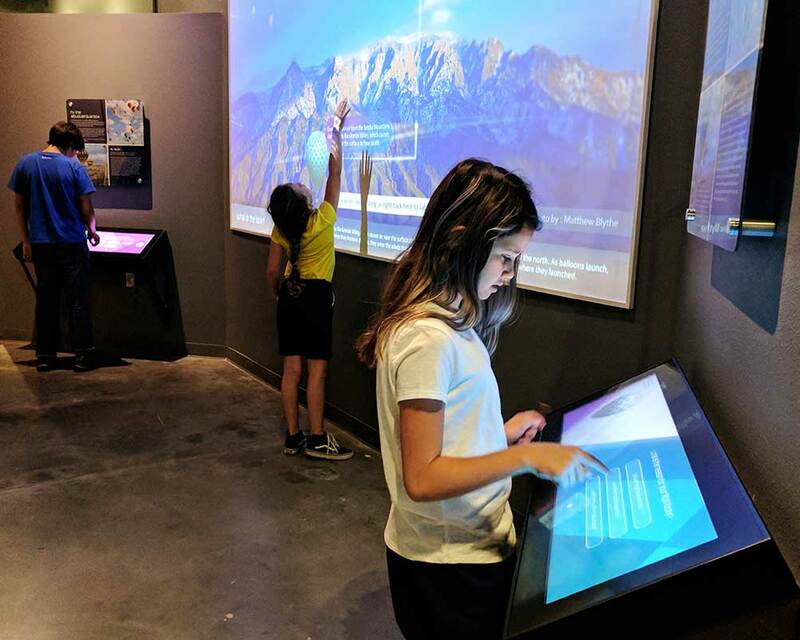 In 2017, Ideum created two interactive exhibits for the Balloon Museum’s Weather Lab exhibit. We’ve also collaborated previously with the Balloon Fiesta. 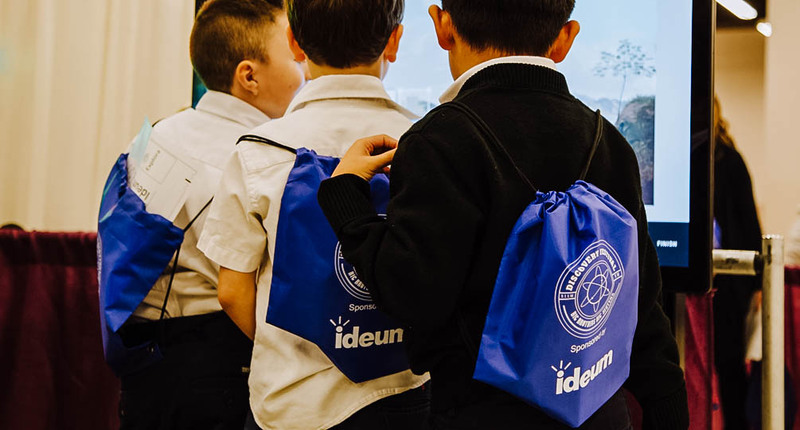 In 2017, Ideum worked with the Fiesta to build a quiz game on the topic of hot air ballooning. 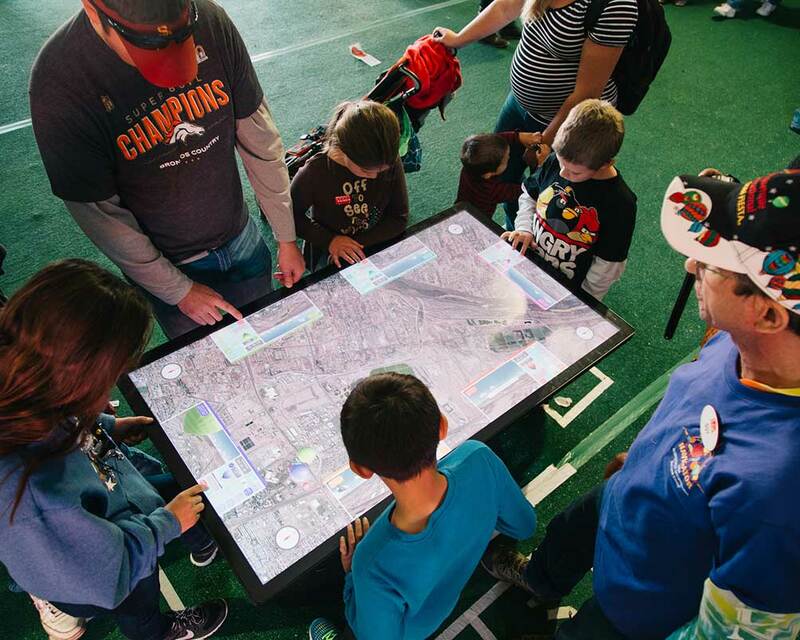 In 2016, Ideum and the Fiesta created a Hot Air Balloon Target Competition in which guests learn about the Albuquerque Box—the region’s unique patterns of air currents—to control the speed and direction of their balloons and race above Albuquerque to drop a payload at Balloon Fiesta Park. 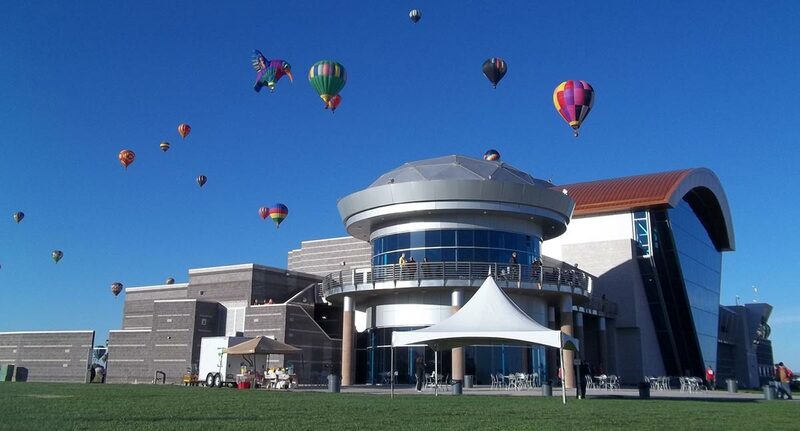 These exhibits are on display in the Balloon Discovery Center throughout the 2018 Balloon Fiesta from October 6-14. The Ideum team is pleased to have the opportunity to work with our community and local venues and showcase our work for friends and families—especially for one of our state’s signature events! Hero Image (above) courtesy Anderson Abruzzo International Balloon Museum. The Hall of Fame exhibit at the Anderson Abruzzo International Balloon Museum. 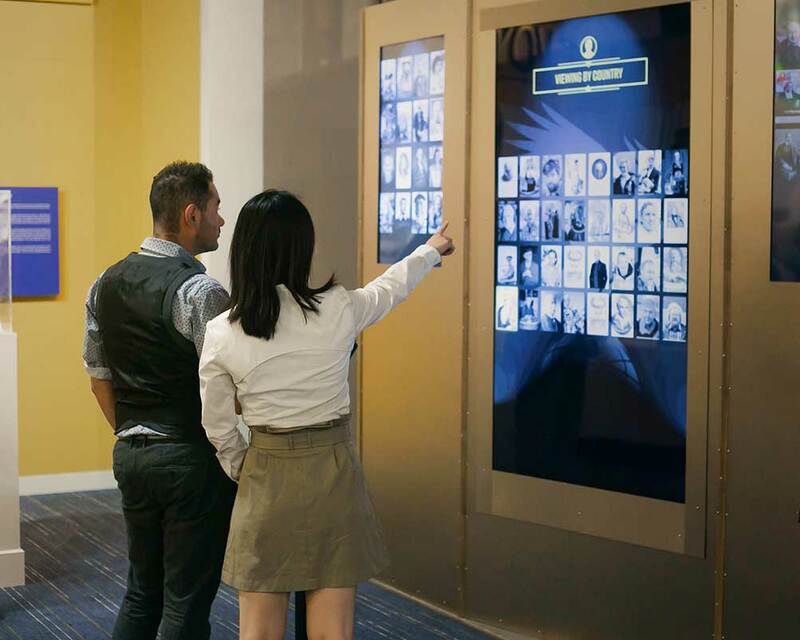 Museum guests explore Hall of Fame inductees. The Cloud Atlas highlights the science of atmospheric phenomena. A museum guest designs her own hot-air balloon. Ideum created this Hot Air Balloon Target game for our 55" Platform touch table.